I walk by this sign all the time. 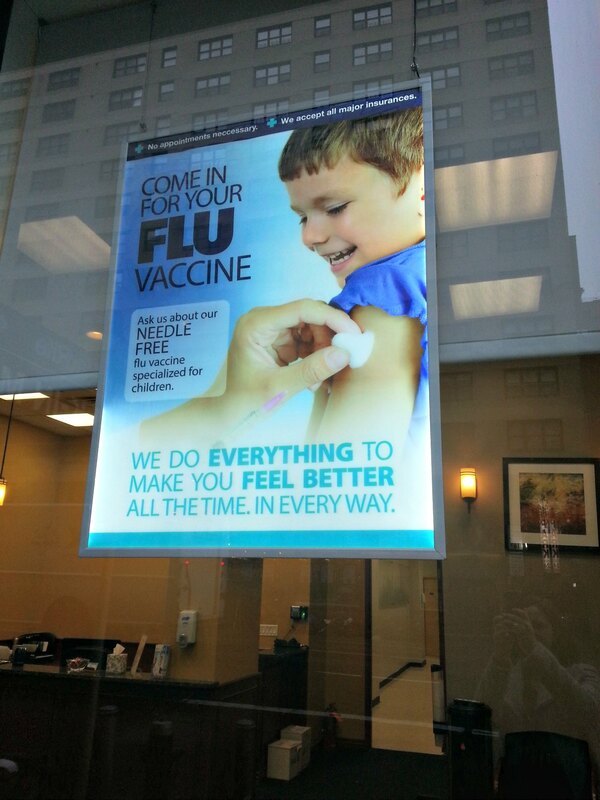 This entry was posted in Snark and tagged ad, clinic, comedy, flu, health, kid, needle, nyc, shot, spotted on the street on April 18, 2013 by onechicklette. Haha! “Needle free” probably has some fine print that includes…needles. Bahahaha took me awhile to get it! A needle-free vaccine with that uses a needle… hmmmm.